Mr. Takashi Moriya, Senior Chief Engineer of Honda R&D Co., Ltd.
*English is the official language of the Forum. *Please note that the Y-E-S Forum program is subject to change without notice, depending on the circumstances of the organizers and guest speakers. 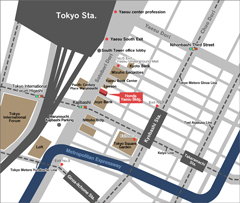 We will invite you to participate in the discussion at Honda Y-E-S Forum. Please make registration on [Website] during application period. *Participants will be chosen by drawing, if applications exceed audience capacity. We will send results to all the applicants by e-mail later. 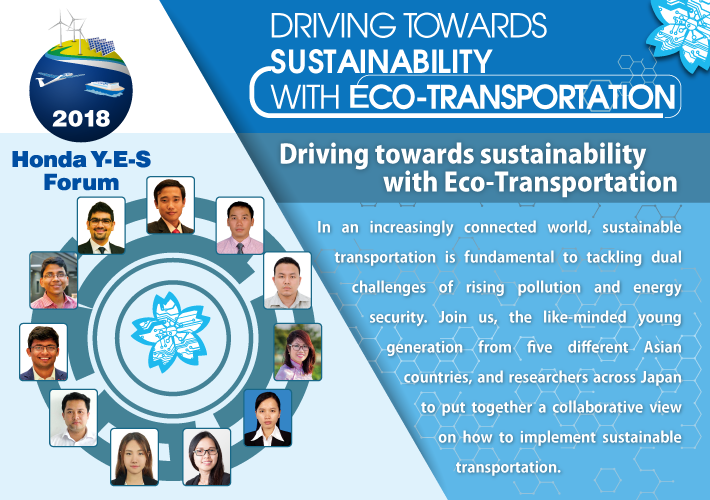 A research poster contest will be held in time with the Honda Y-E-S Forum 2018 on the theme of Eco-Transportation. We are hoping that the contest will provide participating students opportunities for networking with others and to contribute to share and improve their research. We look forward to your participation. *If participating as a team, the maximum number is two per team. *Shortlisted participants will be asked to give presentations in English. After reading the Participation Guideline, please enter the necessary information on the [Application Form]. Please attach the Abstract file (MS Word or PDF format) to the Form using the [Presentation Abstract Template]. *The presentation abstracts will undergo screening. Shortlisted participants will be requested to produce and submit their posters. The Honda Foundation started the Honda Y-E-S (Young Engineer and Scientist's) Award program to foster future leaders of science and technology fields in 2006 as a part of the Honda Foundation's 30th anniversary project. It is implemented in Vietnam, India, Cambodia, Laos and Myanmar, and many awardees come to study in Japan. For further details, please visit [here]. Copyrightc2014 HONDA FOUNDATION. All Rights Reserved.